Hey all! It has been a busy week outside of the alchemedium world with the whole “real job” things going on, but that doesn’t mean that things are at a stand-still here! 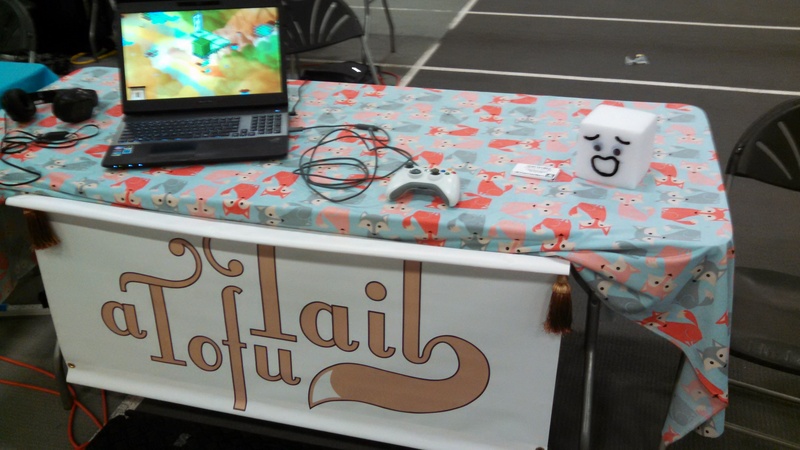 We attended the Boston Festival of Indie Games earlier in the month, as an exhibitor, excitingly, and showed of A Tofu Tail to the masses! Well, the relatively local masses, but exciting nonetheless. We barely had a moment to catch our breath in midst of those who wanted to see what this ill-fated tofu-man was up to! It was really our first attempt at presenting the game in all its charm – check out the pictures! 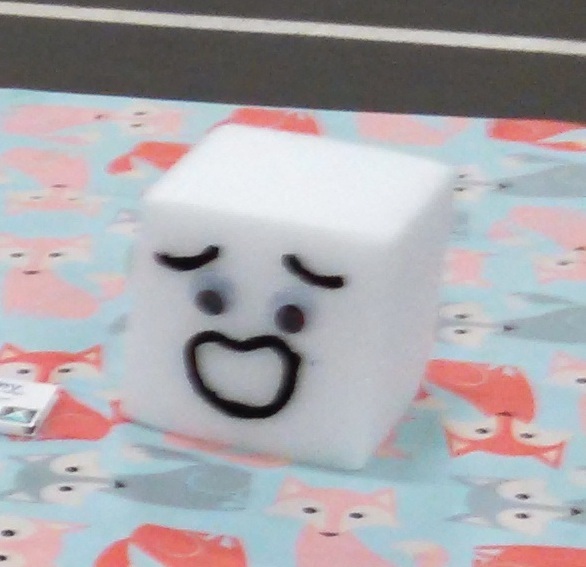 This was the first time we were actually showing off Mr. Tofu’s journey after its complete redesign, and we were happy to notice that it received a bunch of positive feedback! 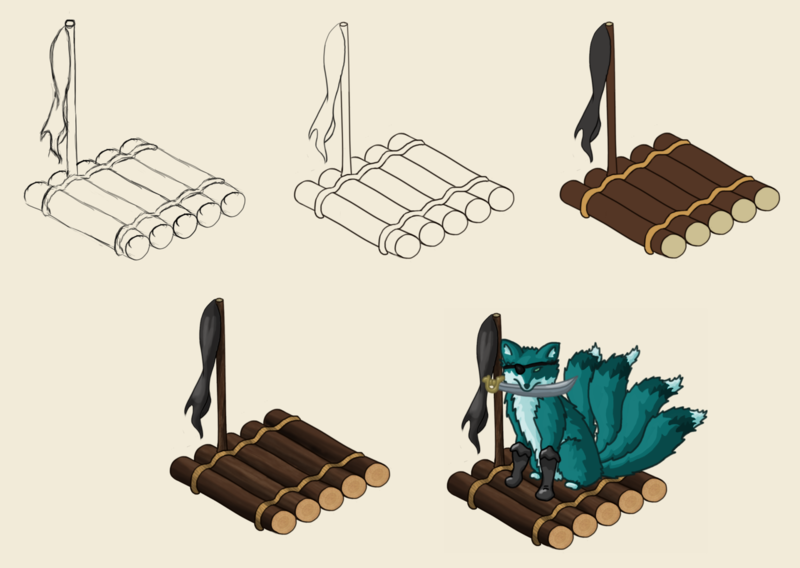 Our gameplay and design changes appeared to be moving in the right direction! Tom is wrapping up on most of the music and starting to remaster and clean up some of the tracks for the OST and the game itself. Andy has been finalizing the script for the beginning portion of A Tofu Tail, and we all have been discussing the final chapters of the narrative and have arrived at the completion of the plot as a whole. We have also pulled in another artist – Sean Doss – for the game cover art, cutscenes, and character portraits. We are very excited to see what results from his efforts. Not to mention progressive, although momentarily slow, improvements to the coding and gameplay! Though we would love to go on now about the many changes in A Tofu Tail, we will hold back and continue the game design deep dive with Mr. Tengu in our next post!